The move to greener methods of building engineering in recent decades caused major changes in construction, from materials to methods. Leaner processes designed to reduce carbon footprints have led to the addition of new technologies and designs. Positive results in both energy conservation and environmental impact have spurred new policies. This is forcing the architecture, engineering, and construction industries to implement many of these new procedures as project requirements grow. This shift in mentality in the construction industry means adherence to new environmental and energy codes. One major change is in the 2018 version of the International Green Construction Code. The IgCC will now have requirements that align with the US Green Building Council’s LEED requirements for construction. Once suggested requirements for obtaining LEED certification will now be required as part of code for all construction projects. The goal is to create a unified green code for commercial buildings that will improve the standard for construction building codes nationwide. Some of the major implications of these changes for construction are due to the integration of ASHRAE Standard 189.1 and IgCC. The standard is based on the mandatory requirements that establish the baseline for high-performance green buildings that are found in the voluntary LEED and other green rating systems. This means benchmarks in areas such as site sustainability, water use efficiency, energy efficiency, and Indoor Air Quality (IAQ) will now be required for all commercial buildings. Here is a closer look at the impact of IgCC and LEED on the industry. New commercial projects adhering to the 2018 IgCC will now have site-specific requirements, such as criteria for allowable sites, removal of invasive plants, storm water mitigation of heat island effect, reduction of light pollution, and mitigation of transportation impacts. This will put constraints on locations of buildings, such as an existing building envelope, brownfield, or greyfield. Storm water management will be required to prevent erosion and encourage collection and reuse. The focus of this standard has always been to reduce water consumption and increase water reuse on both the interior and exterior of the project building. Plumbing fixtures will have a baseline requirement for efficiency rates and HVAC equipment using water will require metering, as well as condensate collection for some climates. This requirement includes the mandatory adherence to standard 90.1. The newest standard has added two new weather zones and a new Performance Cost Index that will accommodate different building types in different climate zones. The building envelope will require verification, new lighting density requirements, efficiency requirements for elevators, and expanded requirements for economizers in HVAC equipment. The new standard focuses on reducing materials, and using and reusing recycled materials. Construction waste management and materials tracking has been a part of the standard for some time but will now require more tracking and regulation of refrigerant usage as R-22 refrigerant phases out of use. 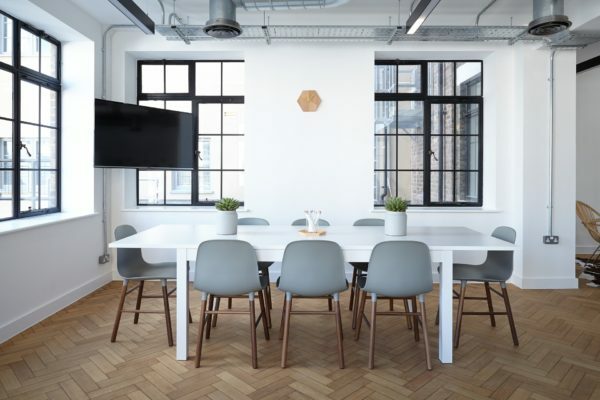 This standard not only encompasses indoor air quality, but also addresses thermal comfort, acoustics, lighting quality, daylighting, and materials. The focus is the health and comfort of occupants as they relate to those categories. This standard includes monitoring of outdoor air with a minimum outdoor air percentage, MERV 8 and MERV 13 rated HVAC filters, and in some cases, ozone air cleaners must be utilized. This has been mandatory for some time and most construction managers will find that they are already complying with the majority, if not all, of the requirements. These include, but are not limited to, HVAC testing, whole-building system commissioning, indoor air quality management during construction, and moisture control. On the operations side, measurement and verification of HVAC and IAQ will now be required, along with a maintenance plan. The merging of the ASHRAE Standard 189.1 with IgCC is one of the first major steps to streamline green codes for construction, and move towards a standard model code for all construction projects. This provides the construction industry with one document for meeting green building construction requirements. From here, LEED will begin comparing measures in its rating system to the code in an effort to combine them and create one standard in the future. What this means for the future of construction is one set of code requirements that include methods that make it easier to construct a greener, more energy efficient building. This will eliminate much of the bureaucracy that plagues commercial projects, and in turn reduce project timelines, save money on certifications, and improve the quality. This no longer only impacts buildings seeking certification, but every new construction project. VIP Structures is an integrated design-build firm in Upstate New York. Are you interested in learning more? Visit our website or browse our design-build blog.